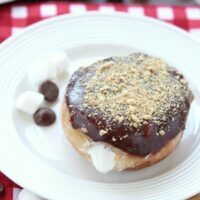 S'mores Donuts (+ More Donut Recipes!) - Dessert Now, Dinner Later! 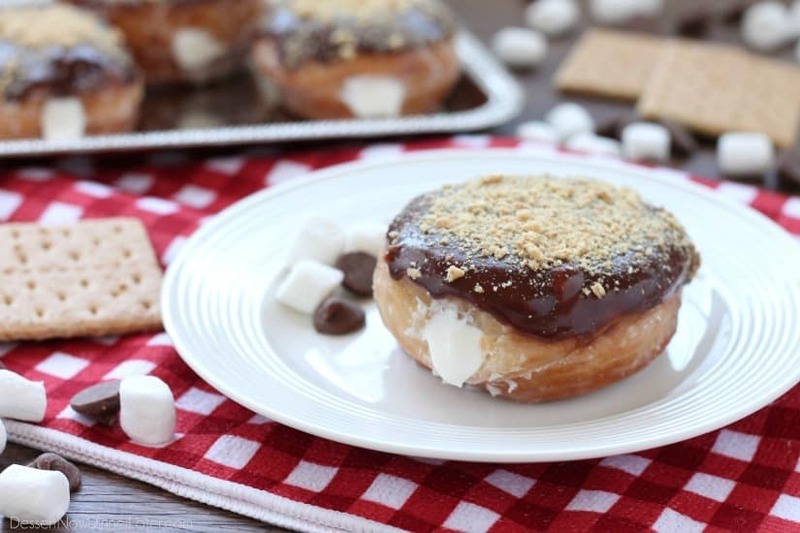 Glazed and ganached, with crushed graham crackers on top, and a marshmallow buttercream center, these S’mores Donuts are delicious and decadent. 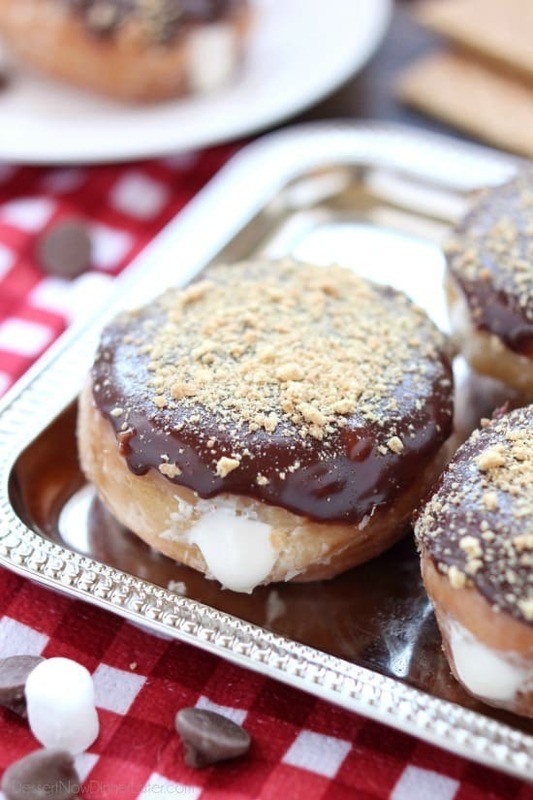 It’s National Doughnut Day, and I’m excited to share the recipe for these decadent little s’mores donuts with you! 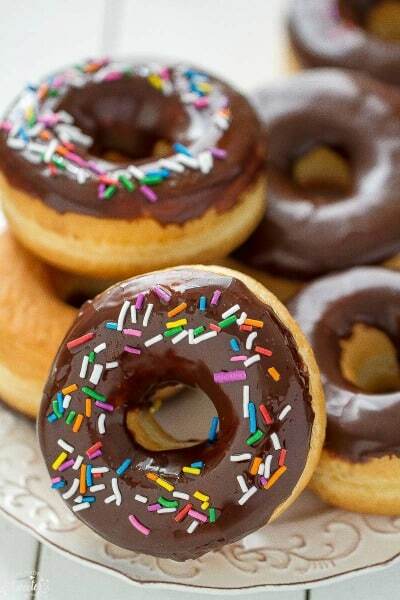 These donuts have layers. 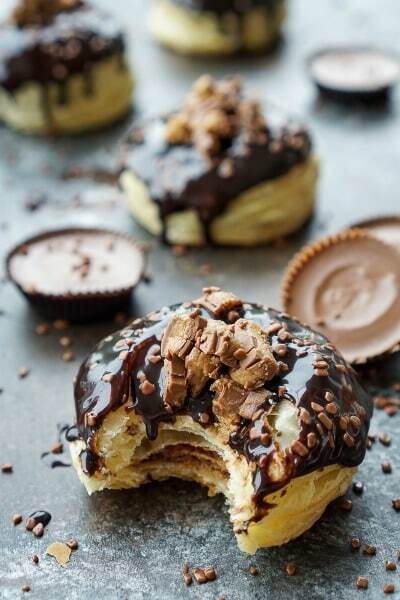 Start with fried yeast dough (store-bought yeast dough 😉 ) that’s been glazed and filled with marshmallow buttercream, then topped with chocolate ganache and crushed graham crackers! It’s a flipping delicious bite, that’s for sure! 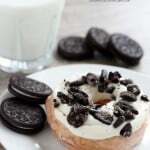 Most of the donuts I have made for this blog have been made with refrigerated biscuit dough, which still turns out nice, but I wanted a more traditional yeast dough to celebrate National Doughnut Day. 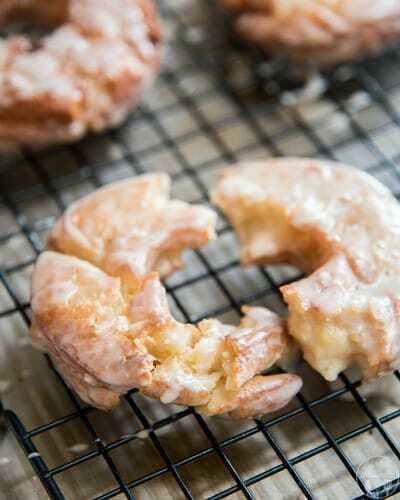 Lucky for me, I always have some Rhodes bread in my freezer, so I just let a loaf thaw, rolled it out, used my biscuit cutter to cut circles, and then proceeded to fry, fill, and coat these delicious donuts. 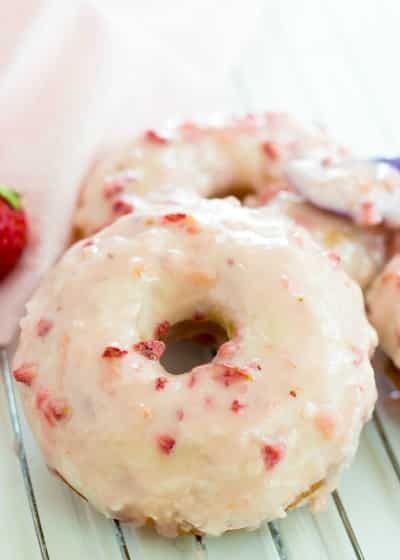 I know the idea of frying donuts over hot oil is probably not high on your priority list with the summer heat a blazin’, but just think about how delicious one of these will be in your mouth, and you will change your mind. And of course, I had to do a summer themed donut because it’s summer and many people like to go camping or build a fire and have s’mores, so there you go! 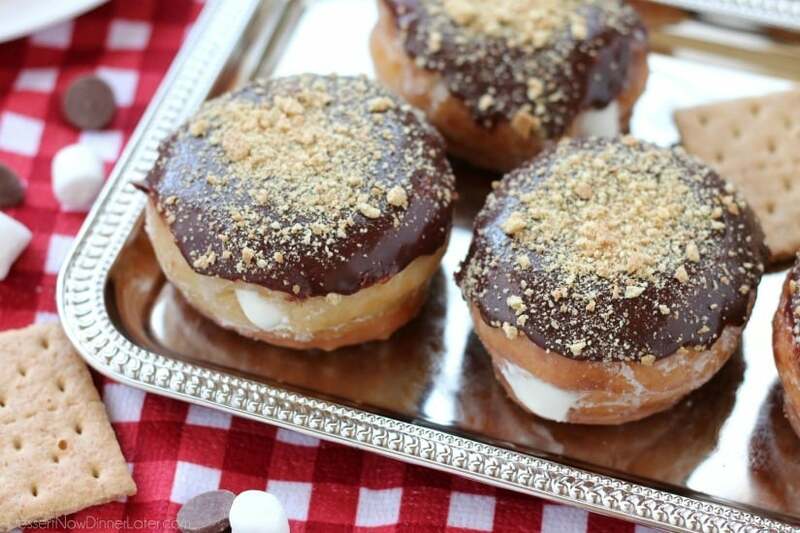 S’mores Donuts! Enjoy! 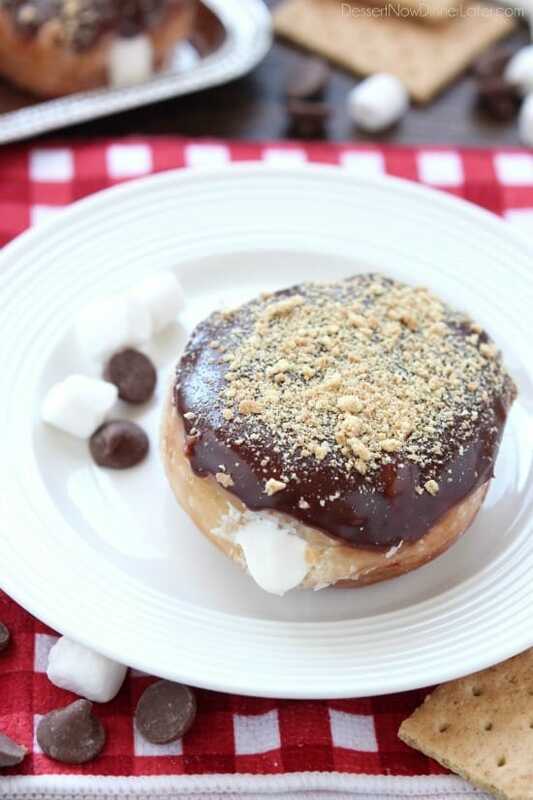 Glazed and ganached, with crushed graham crackers on top, and a marshmallow buttercream center, these S'mores Donuts are delicious and decadent. On a lightly floured surface, roll out the loaf of dough to about ½-inch thick. Cut circles with a 2¾-inch round biscuit cutter. Place circles on a lightly floured sheet tray and let rest 10 minutes. Prepare glaze by mixing the powdered sugar and water in a medium sized bowl. It should be pretty thin. Set aside. Meanwhile, fill a stock pot with oil 2 to 3 inches high from the bottom. Warm the oil over medium-low heat until the oil reaches 350 degrees Fahrenheit. Stretch the donut circles slightly with your hands and drop them one at a time into the hot oil, frying only 3 at a time so the temperature of the oil doesn't drop dramatically. Cook until dark golden brown on each side. Make sure your oil isn't too hot, or the outside will brown before the center is fully cooked. 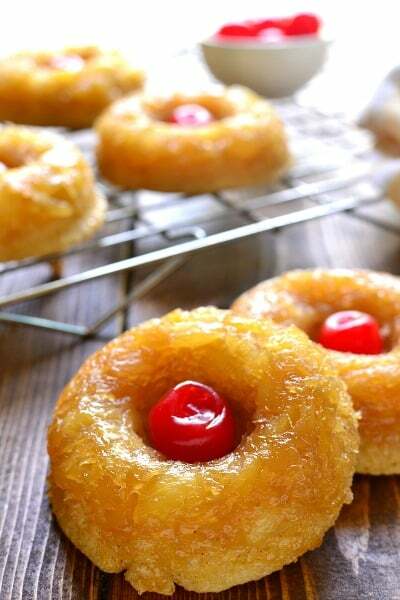 Place cooked donuts onto a cooling rack that has been placed inside of a sheet tray. 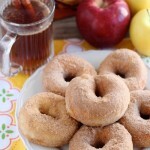 While still fairly warm, place each donut into the bowl of glaze, and turn it over to coat all sides. Pour off any excess glaze and then place the donut back onto the cooling rack with the sheet tray to catch any remaining drippings. Repeat frying and glazing donuts until finished. 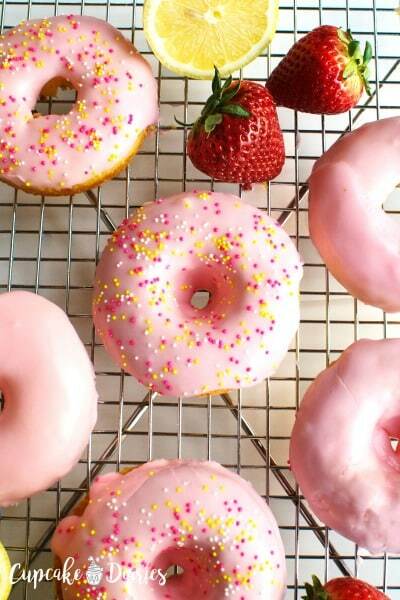 Allow donuts to cool completely until the glaze is set. Make the Marshmallow Buttercream Filling by beating the butter and marshmallow creme/fluff together in a large bowl with an electric hand mixer. Add the powdered sugar. Mix well. Add the heavy cream and vanilla. Mix well. It might be soft, and that's okay. Put it in the refrigerator while the donuts cool. Crush the graham crackers in a closed zip-top bag with a rolling pin. Set aside. 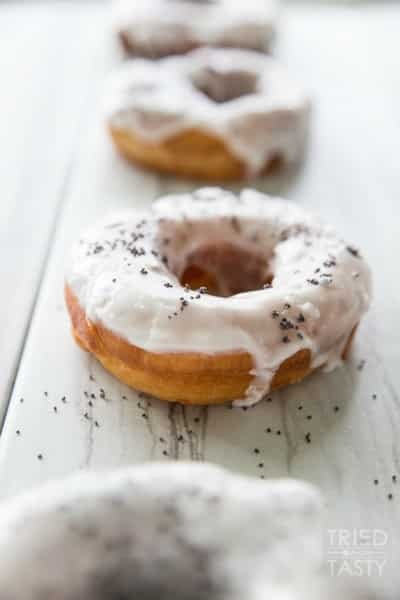 Using a sharp knife or the pointed end of some kitchen shears, poke two holes on opposing ends in each donut, and wiggle your knife or scissors to help create a hollow cavity to fill with the buttercream. Place the marshmallow frosting in a piping bag that's been fitted with a coupler and large round tip. Squeeze the frosting into each end of the donuts so the centers are nice and full. Make ganache by heating the heavy cream in the microwave until just boiling. Then pour it over the chocolate chips and stir until smooth. Allow chocolate to cool slightly and thicken. 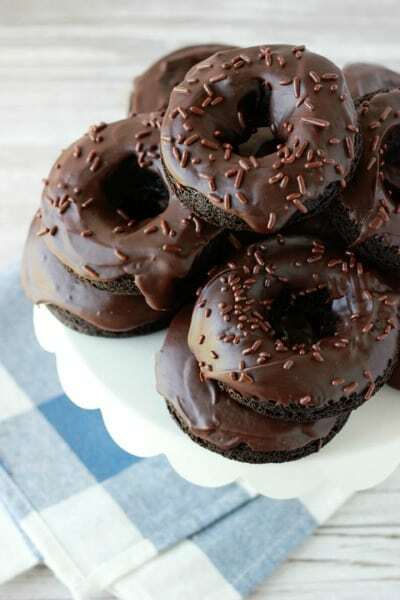 Dip the top of each donut into the thick ganache. Sprinkle crushed graham crackers on top. Allow to cool until the chocolate is set. Enjoy! 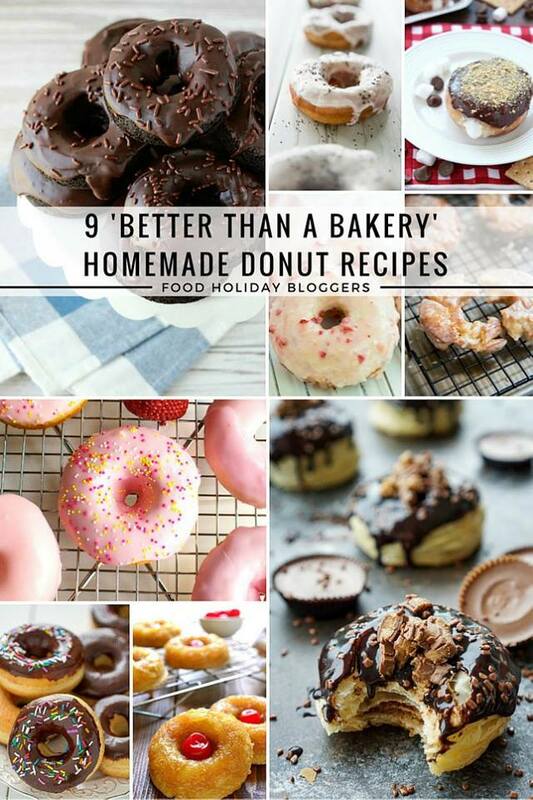 *Store donuts in an airtight container at room temperature up to 2 days. Oh, my, Amber! 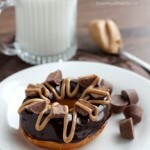 I love S’Mores and these donuts look so rich and decadent. Thanks Teresa! They are quite the treat!